Mr. Misadventures and I are drawn to the sea. For most of our adult lives, we’ve lived close to an ocean, if not a large body of water. 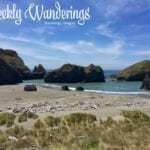 While living in the San Francisco Bay Area we often planned on doing a 1-week road trip up the Oregon Coast, but somehow it never came together. Which is why one of the places I said had to be included in our 18-month RV trip was the Oregon Coast. We spent 5 weeks there and absolutely loved it! Living in Phoenix now, we really miss the sea, so when we were asked about spending a few days on the Central Oregon Coast, we couldn’t resist. 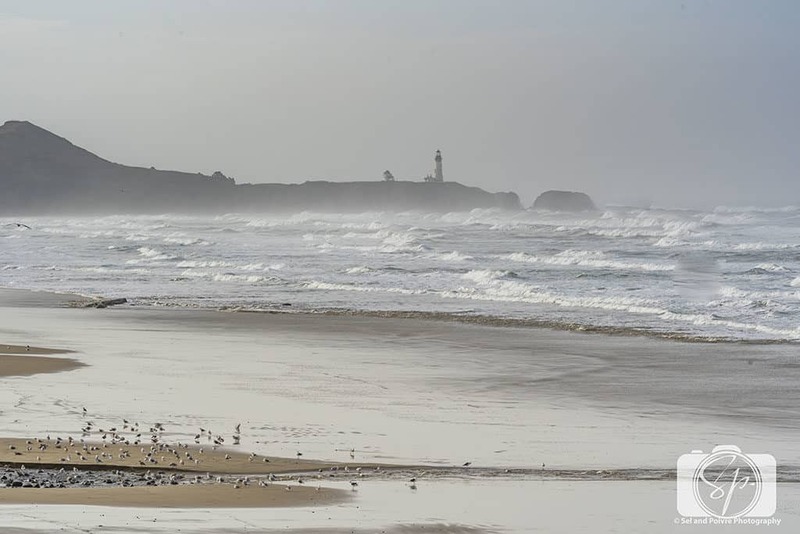 For more than 50 years every inch of the 363 miles has been publically accessible due to the Oregon Beach Bill, which is why it is known as The People’s Coast. Having lived in a state where that was not the case, I can really appreciate just how special it is. Who loves the beach in the late fall and winter? You? Okay, you can be in my tribe! It’s my favorite time to be on the coast. Plus, we’re big fans of off-season travel. Especially a couple of weeks prior to Christmas. People don’t generally travel at this time because they’re likely going to travel for Christmas. So…all for me! Getting to the Oregon Coast is an easy drive from Portland International Airport (PDX) or the Eugene Regional Airport (EUG). For this trip, we flew into Portland and out of Eugene. The rental car process at either airport is super easy and convenient. We grabbed our bags, hopped in the car and hit the road! As we only had a few days so we focused on the Central Coast. This section of the coast caters to those who love the outdoors. Whether you’re looking for historic lighthouses or sprawling parks to explore, the Central Coast is sure to astound you with its natural beauty and architecture. 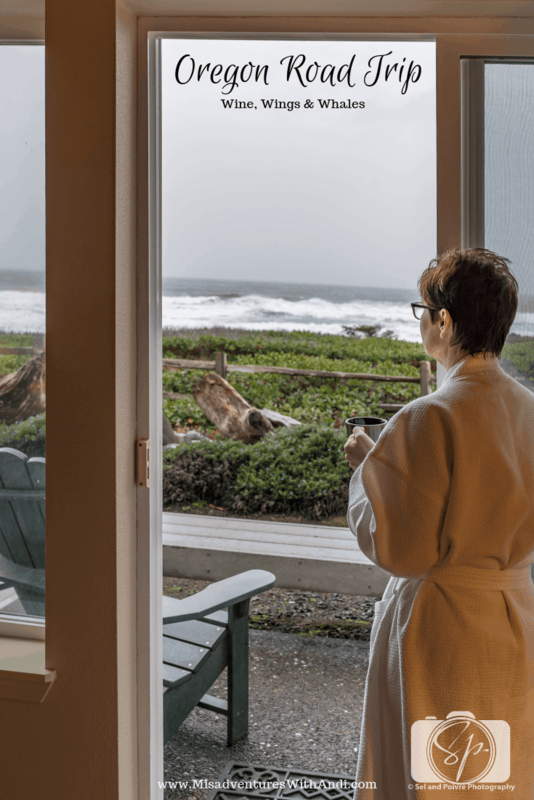 You’ll find open access to beautiful beaches, rugged overlooks perfect for whale watching, and the frothing waves of the Pacific Ocean crashing into the coast. All this provides a stunning backdrop for a plethora of activities such as hiking, biking, festivals, exploring, kite flying, fishing and wildlife viewing. In fact, nearly 20,000 gray whales migrate south along the coast heading to Mexico. They return with their babies between March and June. There are 24 designated whale-watching points, 10 of which are along the Central Coast! A brand new activity I discovered this time? Storm-watching! I had no clue it was a thing, but we had a brief storm come through and it was fascinating to speak with other people about how much they enjoyed this past time. This “show” grants everyone the chance to experience the awe-inspiring grandeur of Mother Nature at its most volatile, powerful, and majestic. Some people recommend the high cliffs but the excitement does not diminish just because you’re a little farther away from the waves! 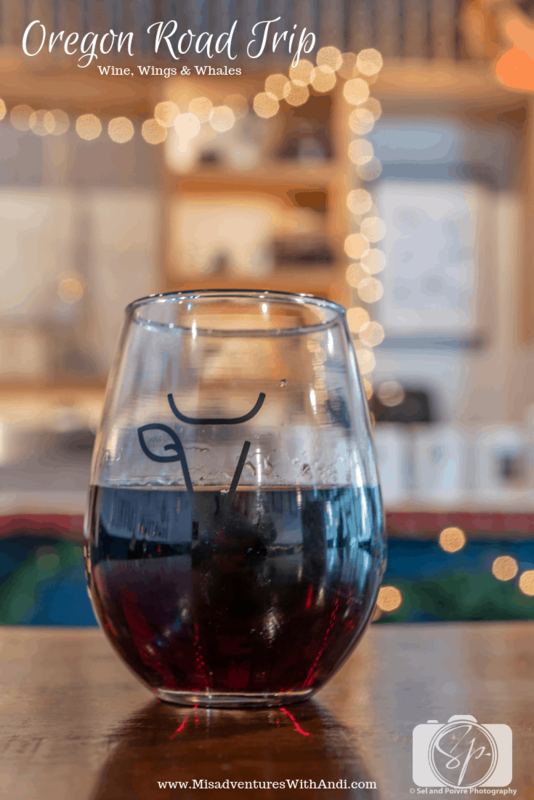 The vast majority of the hotels and motels on the coast have ocean views (they were so smart when they originally built these properties) so you can watch the storm from the warmth and safety of your room or hotel lobby or bar all while enjoying a glass of Willamette Valley wine, bien sûr! 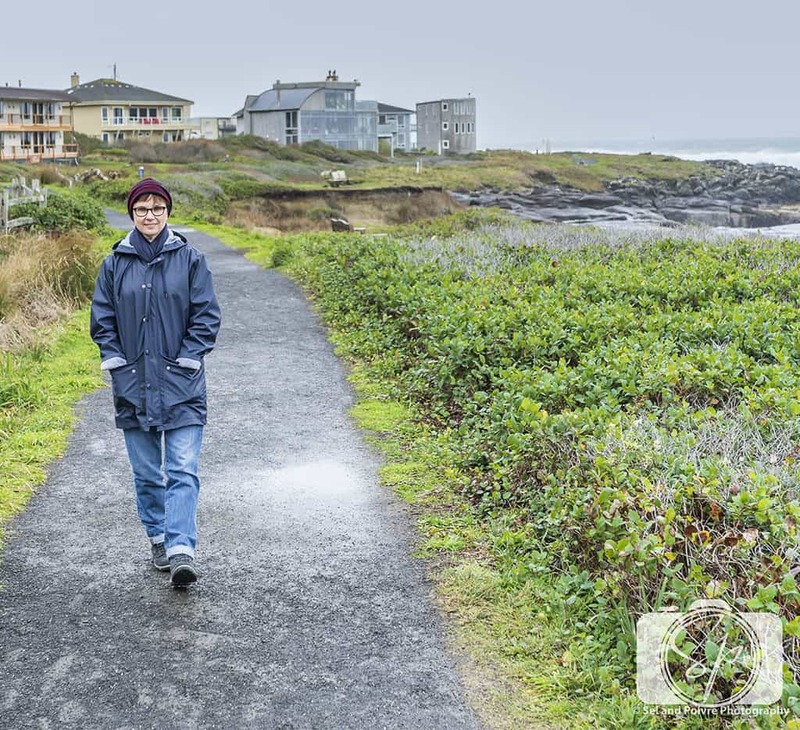 During our time on Oregon’s Central Coast, we visited various spots between Cape Perpetua and Lincoln City. I’ll share the places we visited, the hotels we stayed at, and as you all know me well, the restaurants we ate in! 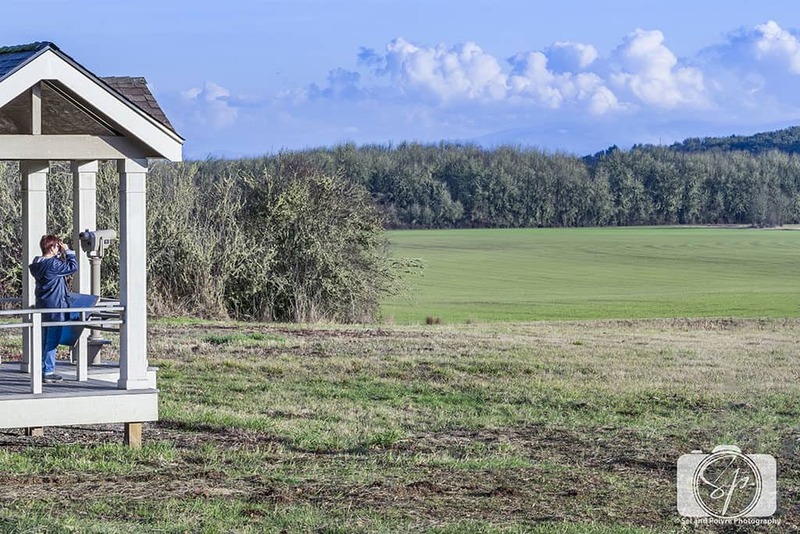 As we wanted to travel south to north on the coast and we wanted to check out Oregon’s newest scenic byway Highway 34, we headed to Corvallis. It’s a 90-minute drive from Portland and we arrived just in time for lunch. I had originally wanted to try a fried chicken place called Bellhop but they are closed on Mondays so my back up was a burger spot called Bo & Vine. I think everything happens for a reason. The universe nudged me towards this place and the Francophile in me was thrilled! If you remove the “&” from Bo & Vine, you have bovine which in French refers to meat that is eaten. Plus you know, vine, for grapes…wine country, very clever! 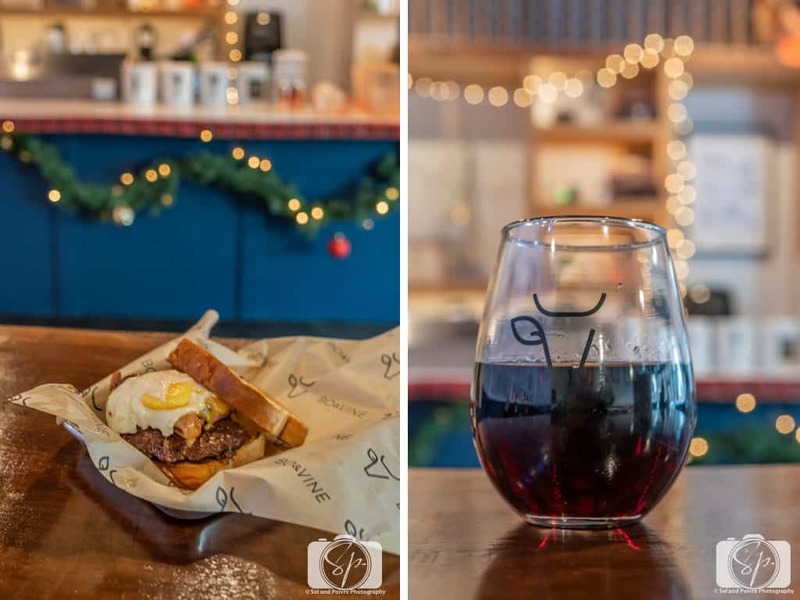 The decor is adorable, the burgers outrageously good and the touches, well French, especially the mustard vinaigrette on the house salad, I’ve had it a million times in Paris, but rarely have I found a good one in the US, Bo & Vine nailed it. Also, one of Mr. Misadventures biggest complaints when it comes to burgers is the bun, the French guy in him hates our American buns (I know…I know!). At Bo & Vine, they serve their O’Canada burger with thick buttered toast, almost like the French brioche and we loved it! Bellies full we headed to William L. Finley National Wildlife Refuge which is just 15 minutes from Corvallis. It is a great place for winter bird watching one of the best in the state. It provides a wintering habitat for the dusky Canada goose – the primary management goal for the refuge; the dusky Canada goose has relatively limited winter and summer ranges – therefore, this refuge is extremely important for the species management and conservation. But there are other birds who migrate through in the winter including the bald eagles, golden eagles, an occasional peregrine falcon. I spoke to a very friendly ranger (his wife was from Tucson and he had spent some time in the Phoenix area near the White Tank Mountains), and he let us know that there was a rare set of geese from Russia that had only ever been seen in the U.S. one other time. Unfortunately, while checking out the main birdwatching areas at McFadden and Cabell Marshes, we didn’t see them. But we did see plenty of geese and ducks and heron. At sunrise and sunset, you can also spot hundreds of elk grazing in the grasslands. Mr. Misadventures and I were captivated by the sun rays as they broke through the fog. The shafts of light in the wooded areas and along the waterways was just gorgeous. We stopped on a bridge over Muddy Creek and found ourselves entranced by the beams of light reflecting on the water and the green moss on the near-bare winter trees. A couple stopped their car to ask if we had spotted the beavers, we said no, “just admiring the beauty of the scene.” This is why we love visiting these types of places in the off-season, there is magic to be found in all the seasons, but off-season, you get it all to yourself! We dragged ourselves away from the wildlife refuge and continued on our way. The sun had broken through the fog while we were visiting, but it was moving back in and we needed to hurry to beat the sunset. With exactly 5 minutes to spare we made it to the top of Mary’s Peak, the highest point on the Oregon Coast Range. 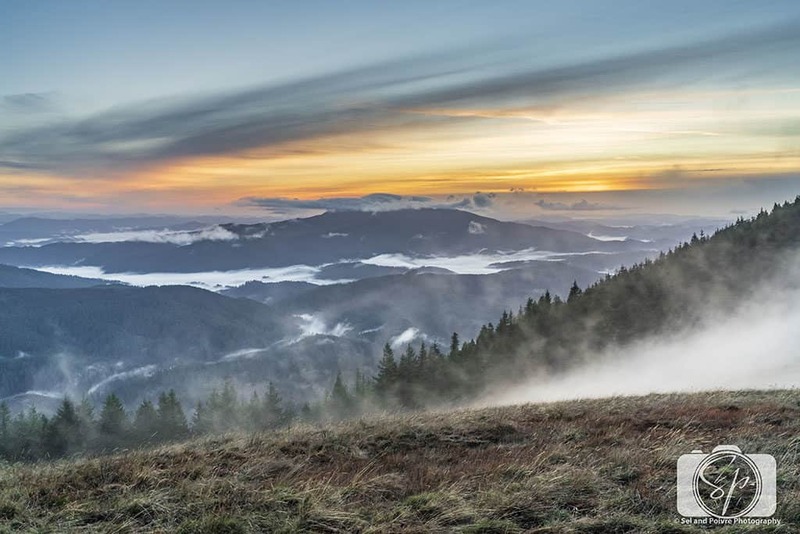 From the peak at 4,097 feet, you can see the Pacific Ocean and the Willamette Valley. Or in theory, you can. We had been running from the fog all afternoon and it was settling in so we were unable to see the ocean. But that doesn’t mean the sunset wasn’t beautiful, it was stunning! It reminded me of a sunset shoot Mr. Misadventures did on Hawaii above the clouds of the sacred Mauna Kea. It was the perfect end to our first afternoon in Oregon. Our destination for our first evening was Yachats, a vibrant community that combines the best of both nature and culture. During our time on the Oregon coast with the RV, we (mistakenly) skipped over this town and I am so glad we got to remedy that mistake. It’s the closest town to Cape Perpetua, one of our stops the next day. Cape Perpetua offers camping, hiking, scenic walking trails, and the views completely leave you breathless. In addition, Yachats hosts an annual music festival that features major classical musicians in July and an annual Celtic Music Festival in November. But as I lean a little more culinary, I’m interested in visiting during their mushroom festival in October! Local restaurants put on a mycological feast incorporating various mushrooms. Experts lead guided woodland walks, show exhibits, and lecture on different mushroom-related topics. Sign me up! Our righteous burger was ancient history so our first order of business, once we got into Yachats, was dinner. We headed to Luna Sea Fish House. The chowder was good, the fried fish respectable and it was served with a really interesting slaw with not one but two kinds of apples. Very friendly service and lots of locals! The entire week before our trip Mr. Misadventures hadn’t slept much and the night before our trip, he did what the French call a ‘nuit blanche’ where he didn’t sleep at all. After a full day of great food and fantastic displays of Mother Nature at her best, we slept like babies in our Overleaf Lodge room gently rocked by the sound of the waves. And in fact, the entire week we were on the Oregon coast we slept well. Before we headed off for more exploring I enjoyed coffee in the quiet of our room. 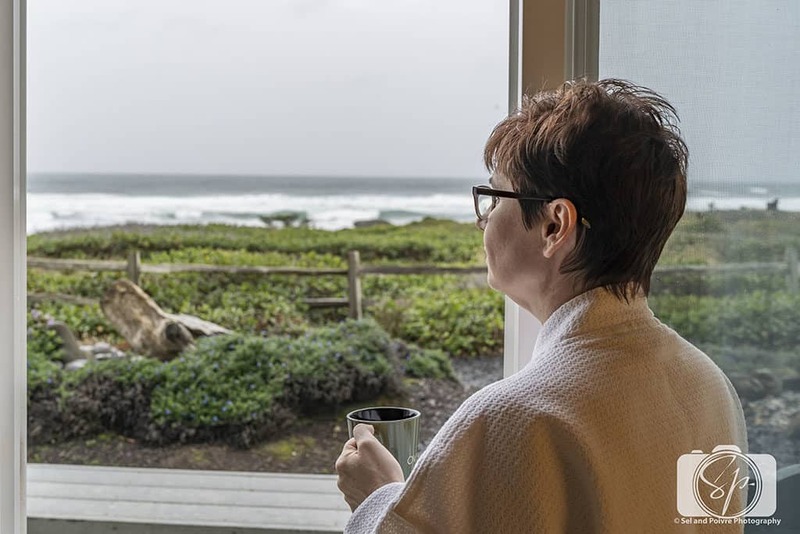 The lodge is also a spa so they have those nice white robes in every room and while I am not a spa girl, I am definitely a watch-the-ocean-while-drinking-coffee kind of girl, something that everyone can do at the Overleaf Lodge because every room is an ocean view! You know what else every room gets? Free breakfast! And not just some pre-packaged box-store pastries and instant coffee, I’m talking the good stuff! As low carbers, breakfast is generally our easiest meal and we definitely appreciated hot scrambled eggs with cheese and bacon and sausage on the side. There were delicious looking house granola, yogurt and fresh breads and pastries along with juices and really good coffee. Breakfast is in the main lodge with a gorgeous view of the ocean, or you can take a tray to your room, or you can eat in front of the fireplace. I have could have spent all day with a book in front of that fireplace, but alas, we had lots more to see. Rain was coming so we headed out to stay ahead of the weather. We made our way to Cape Perpetua while saying a little prayer to the gods to keep the elements at bay. Cape Perpetua is a large forested headland that towers 800 feet above sea level. There are 26 miles of hiking trails, camping areas, and coastal paths. We had visited before during the summer, but it is ever so much more beautiful and dramatic in the winter! We walked down part of the path to take a look at Thor’s Well but didn’t go all the way down to the churning water. I couldn’t get over how green it was, it felt like Scotland or Ireland, although I’ve never been. I was definitely in my happy place! After a couple of hours of exploring the area, the storm finally hit and the stomachs started rumbling so we headed to Newport for lunch. Newport is the Central Coast’s largest city, the Dungeness Crab Capital of the World, and a really cool town. There are 2 main areas to explore: the historical Bayfront, the epicenter for the city’s economy; and Nye Beach, a popular tourist attraction and hub for the arts. And in my opinion, home of the best fish, chips, and chowder! Before my lunch at the Chowder Bowl at Nye Beach, I would have told you the best fish & chips were at Fisherman’s Korner in Bandon, but they have now slipped into second place behind the Chowder Bowl, which serves phenomenal food. 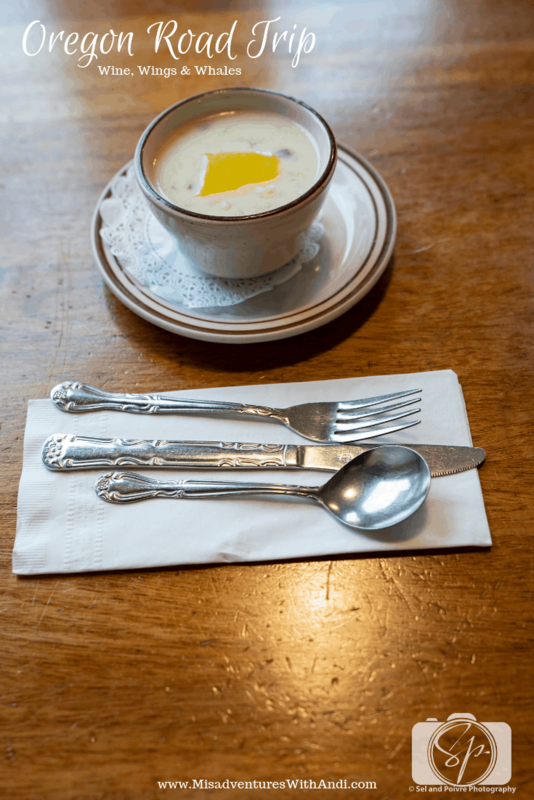 In fact, their chowder has been featured on “The Today Show”! Of course, trying to balance some kind of low carbyness, we skipped the chips, but the slaw was righteous as well! Add a Willamette Valley pinot noir or pinot gris (my choice) and you’ve got yourself a classic Oregon Coast meal. I’ll tell you a secret. The next morning was sunny so we spent some extra time on the coast capturing footage and before we headed inland we returned to the Chowder Bowl for the exact same meal. When it is good, it’s good and we didn’t know when we would have fish & chips again, so we indulged! There is so much to do in Newport, it is a shame that we didn’t spend more time there, because of the storm we moved on to indoor activities. If you’re an aspiring or avid birder, Newport is the perfect place for you. It offers at least four distinct areas for bird watching: Beverly Beach State Park, Bay Road, Estuary Trail, and South Jetty. The Oregon Coast Birding Trail website is a great resource for information on where to find birds, which species of bird you can spy, and even some tips and tricks for successfully viewing your favorite avian friends. If you need to get indoors for a while, you can do no better than the Oregon Coast Aquarium. Mr. Misadventures and I enjoyed our visit there immensely. I also recommend touring Rogue Ales, they are such a great supporter of Newport, the coast and Oregon in general. 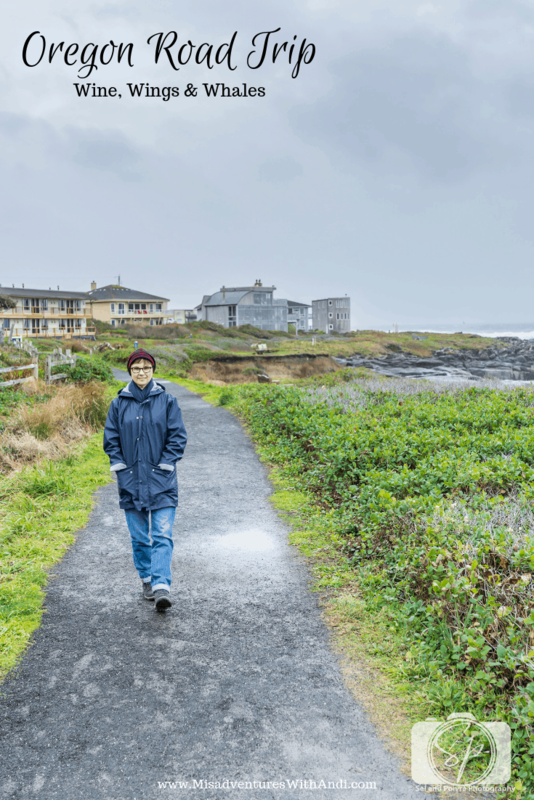 We headed north to Lincoln City, one of the prettiest places on the Central Coast, known for its 7 miles of soft sandy beaches where visitors can explore tidepools, beachcomb for treasures left over after a storm, and fly kites. Kite flying is a favorite pastime in Lincoln City – every summer the city hosts an annual kite festival that draws some of the most unique kite designs you’ll ever see! 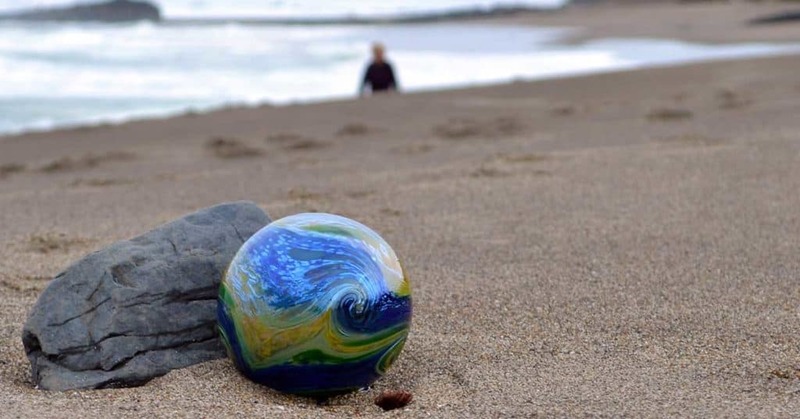 Another neat activity hosted by the city each year involves the placement of glass orbs or glass floats along the Lincoln City’s beaches. Crafted by local artisans, lucky finders can keep their precious treasures and register them to receive a certificate of authenticity and more information on the artist. “Float Fairies” drop some 3000 glass floats each year. My parents spent a weekend in Lincoln City this fall and just missed this event. They came home and told me about and I definitely want to go back to hunt for my own glass treasures! As you can imagine, the glass art scene is strong in Lincoln City. Not only can visitors find gorgeous glass orbs, but they can also visit the Lincoln City Glass Center to learn more about the process of glassblowing, see the process in action, and even create and take home some art of their own! A really great activity for days with inclement weather. We checked into our hotel for the night, the Inn at Spanish Head, another spot where every room has an ocean view. It was built right on the beach and its restaurant and bar are popular for whale watching, sunsets, and storm chasing. It was still early in the afternoon so after a recommendation from the hotel’s bartender, we headed to Salishan Resort to warm up by their epic fireplace and enjoy some Willamette Valley wine. All their rooms have fireplaces, and they are lovely. In fact, they were voted as one of the Top 5 in Conde Nast’s Reader’s Choice Award for Resorts in the Pacific Northwest. We got to peek in on a suite as well, I could spend days in this bedroom (there were 2 along with a gorgeous living room/dining room/kitchen) cuddled up with a good book, a good glass of wine and the fireplace going! After enjoying the afternoon inside, the storm subsided a bit and we headed for dinner in Depoe Bay. Our spot for the evening was Tidal Raves, a restaurant well known for its Storm Watch Suppers, a 3-course dinner with views of the bay (and the whales!). And while I was tempted by the 3-course dinner, as soon as I saw they had cioppino, there was no way I was having anything else. You can take the girl out of San Francisco, but not San Francisco out of the girl! We slept soundly in our beds at the Inn at Spanish Head and woke up early. The rain had stopped and we wanted to visit some spots we missed the previous day. Before doing that, we loaded up on a delicious breakfast at the Wildflower Grill in Lincoln City. Everything is scratch made to order, while you wait for your food to arrive you can enjoy the beautiful marsh, creek and forest views. It is a great place to start or end your day. There is a cool photo opportunity as you leave Lincoln City heading towards Depoe Bay, whether the tide is in or out, there is a sea stack rock formation with trees known as the Three Brothers Rocks that are SO beautiful. It’s worthy of a stop! 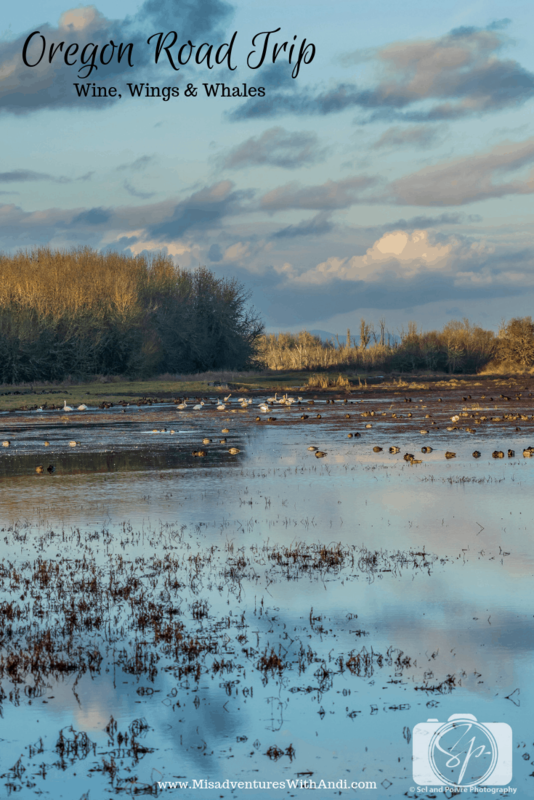 First on the agenda was Siletz Bay Wildlife Refuge. 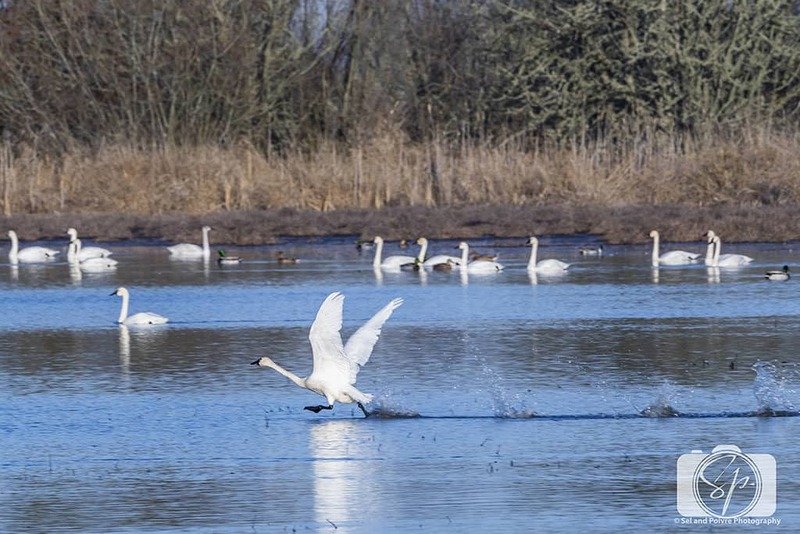 This refuge was established in 1991 with a 46-acre donation and was founded to preserve, protect, and enhance fish and other wildlife found near the Bay’s estuary. 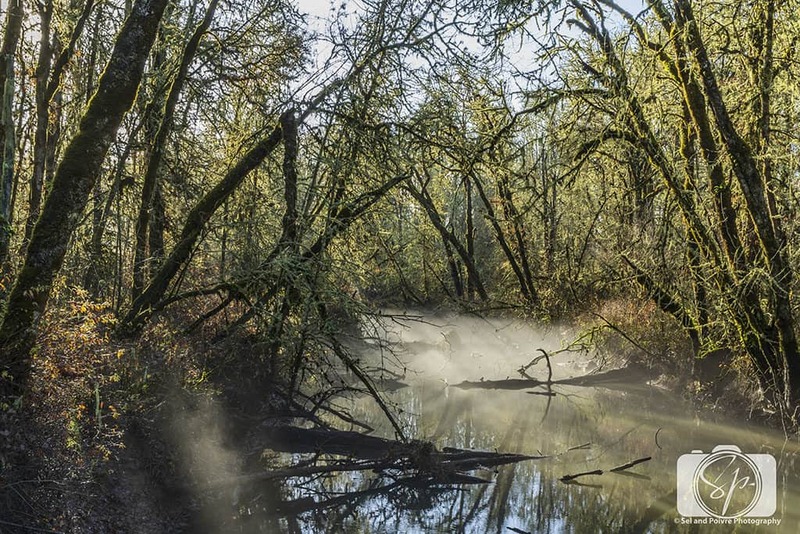 It has since grown to 568 acres and provides nursing grounds for Chinook and Coho salmon, Steelhead and Cutthroat trout, and other species of fish. It is a great spot for kayaking or canoeing. As we did a little walk, Mr. Misadventures spotted a beaver! I missed it by a second and only saw a splash. 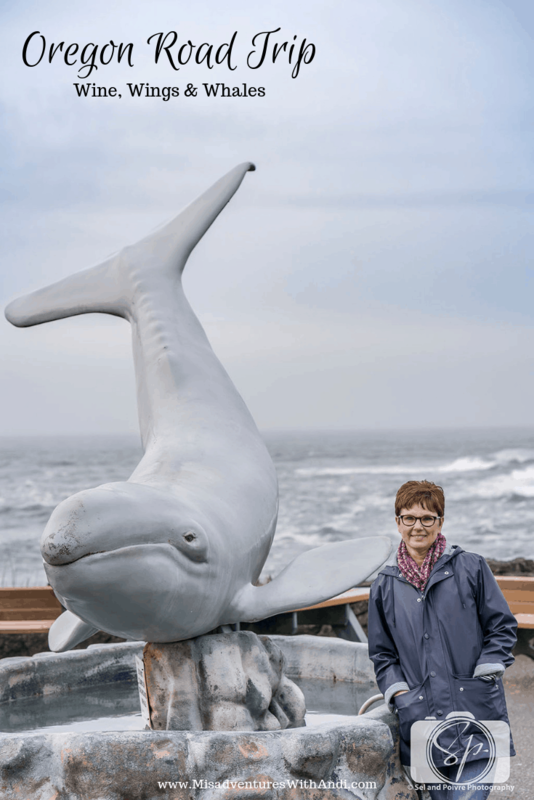 We continued south back to Depoe Bay, the Whale Watching Capital of the Oregon Coast, a place where you can marvel at the resident pod of grey whales who make their home from March to December in the world’s smallest navigable harbor. Travelers and locals alike love watching these majestic mammals breach the surface and send plumes of water vapor into the air. And whale watching in Depoe Bay is a year-round affair. Some 20,000 whales travel south in the winter to the warm waters of Baja Mexico. On their return journey to Alaska, starting in late March, the whale population surges in the area until around late June. The remainder of the summer and fall see the whales feeding along the coast. The heaviest concentration of whales occurs in the early spring, but you should consistently see them if you’re in Depoe Bay for a few days! Make sure to check out the nearby Whale Watching Center for more information on the grey whales and other species which pass by. Important note, the center is closed Mondays and Tuesdays! The winter waves are fascinating to watch as they crash into the rocks and beaches creating a foamy swirl, I can’t get enough of watching them! 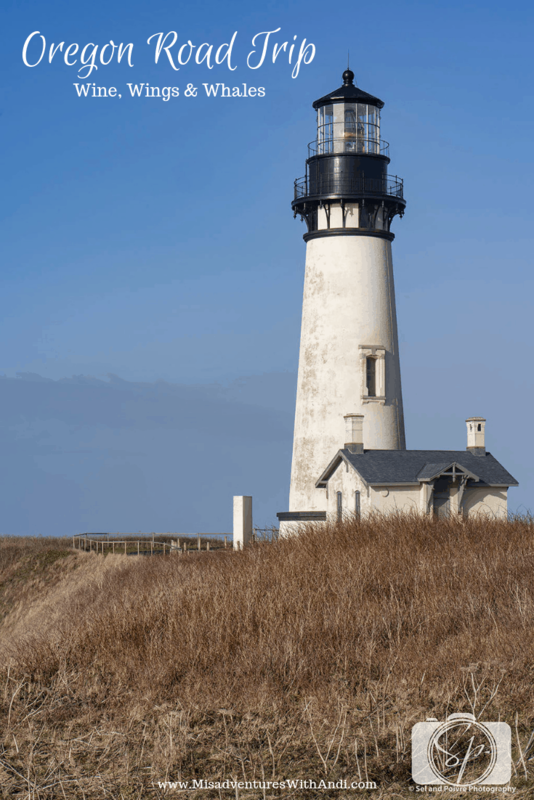 While the weather was good we continued south and hit the Yaquina Head Lighthouse in Newport. We stayed in Newport when we had our RV in a park overlooking the water. Every morning I would drink my coffee while watching the Yaquina Head Lighthouse. There are 11 historic lighthouses on the Oregon Coast and many of them can be seen right from Highway 101. 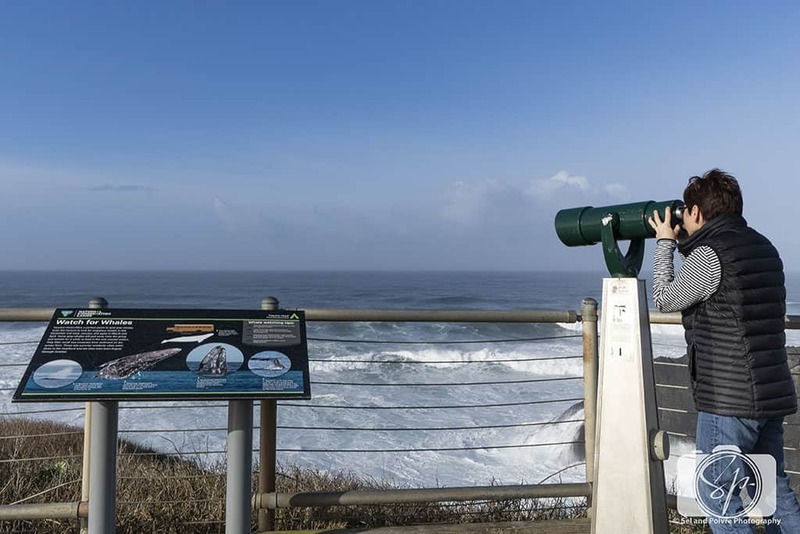 There are several like Yaquina Head with parks around them which make for great stops for whale watching, bird watching, and tidepooling. These structures are just so iconic, you have to see at least one! 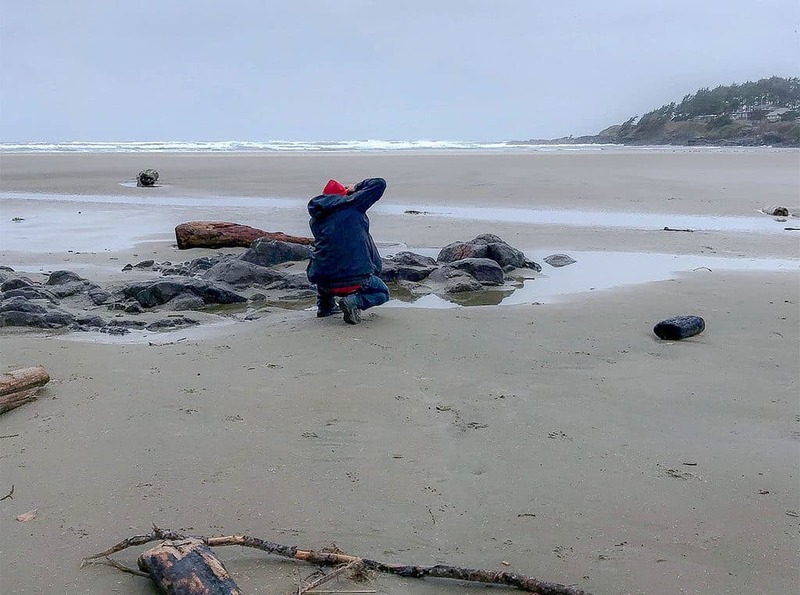 We visited a couple of beaches/coastal spots including Otter Rock, Seal Rock, and Yachats where we photographed fallen trees, washed up rocks, and chased seagulls. I also hunted down footprints in the sand trying to discern whether any of the dog prints were actually bears. They have black bears on the coast, although I’ve never seen one. The weather was clear and perfect for walking on the beach. 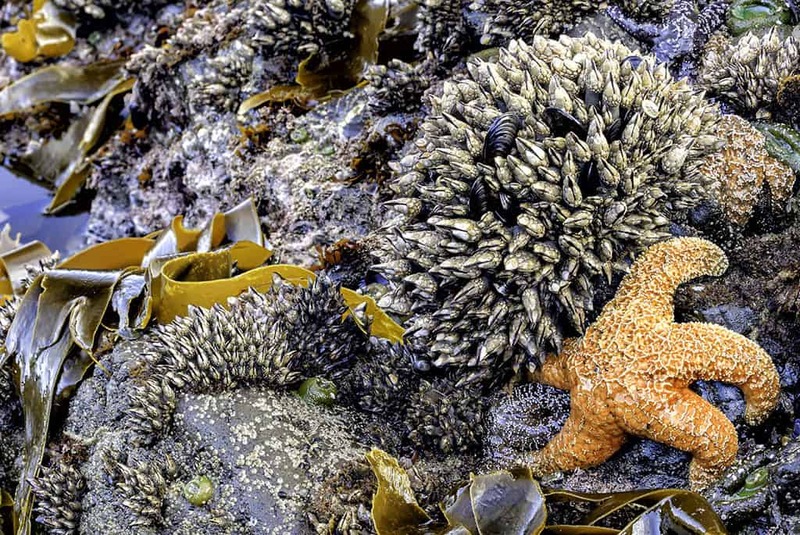 In two-and-a-half days we had ticked off nearly everything on our Central Oregon Coast list. We started our journey back north so that we could cross over to the Willamette Valley. We made a last stop at the Chowder Bowl and then headed East. We were supposed to have a sunset dinner in Florence our first night in Oregon but our afternoon at William L. Finley National Wildlife Refuge and our time at Mary’s Peak made that impossible. Having stayed there a week during our RV adventures I can tell you it was one of my favorite spots on the whole coast. Once a quaint fishing village, the city of Florence is located almost smack dab in the middle of the Oregon Coast. Not only can you race across sand dunes on a dune buggy and stay in a haunted lighthouse, but you can also explore tidepools and chase storms. Sand dune adventures are among the most popular things to do in Florence. You can nab an all-terrain vehicle or the aforementioned dune buggy and explore the rugged, “wind-sculpted” dunes in a more intimate manner. The Oregon Dunes National Recreation Area offers fishing, tidepooling, horseback riding, beachcombing, and all sorts of activities for you to try. You can also fish for Dungeness crabs, something Mr. Misadventures and I enjoyed watching people do. Of course, we let others do the hard work and bought our cooked crabs from the Krab Kettle (280 Oregon Coast Hwy) nearly every day when we were staying there! It was pouring down rain when we passed through the small town of Waldport. This treasured little town gives you plenty of ways to relax: hiking, biking, and walking around the Port of Alsea. 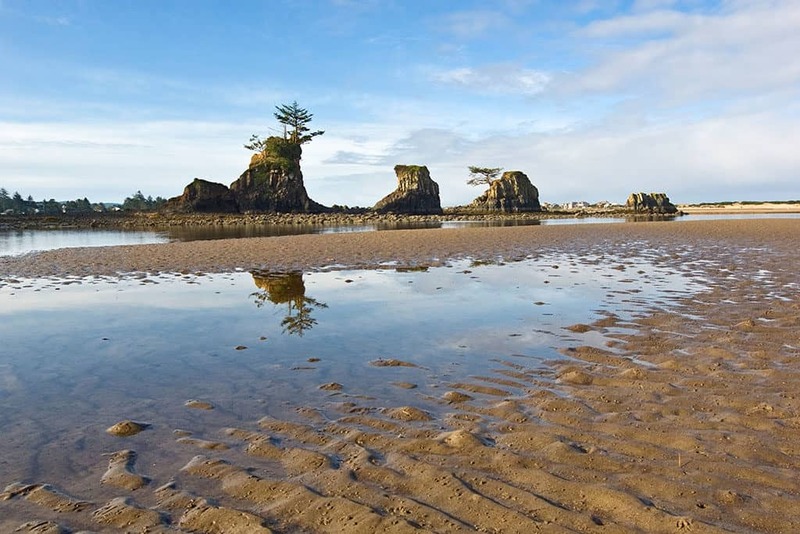 you can meander through the old growth forest in the Drift Creek Wilderness area (home of the largest tract of old-growth trees in the Coast Range), or watch clamming and crabbing demonstrations from some of the local resident experts. 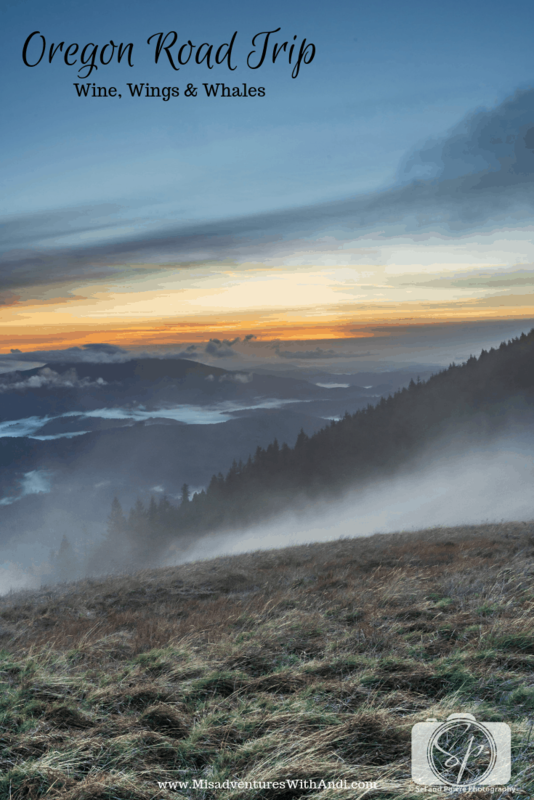 The Siuslaw National Forest, of which the Drift Creek Wilderness area is a part, is the best location in the area to see wildlife such as elk, mountain lions, bears, and a variety of fish. The Horse Creek and the Harris Ranch Trails weave their ways through the Drift Creek Wilderness area as well. Seal lovers will flock to the Seal Rock State Recreation Site. This recreation area plays home to a variety of marine life including seals, sea lions, seabirds, and other species. Make sure to have a picnic among the unique and beautiful rock formations. When we visited on a previous trip we feasted on crab and blackberries as we checked out the wildlife. 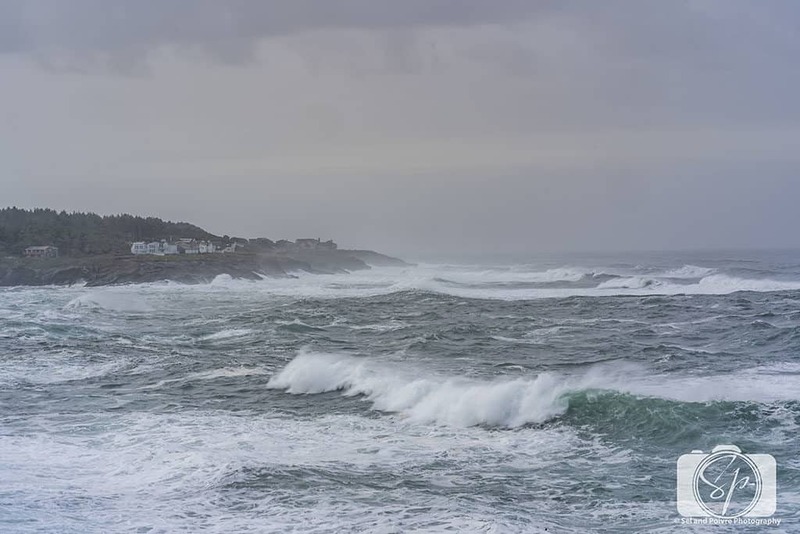 Make sure to stay safe if you’re storm-watching (or in general on the beach and coastline) – don’t turn your back on the ocean, beware of mud or rock slides, be careful of falling debris, and keep an eye on turbulent weather and waves. 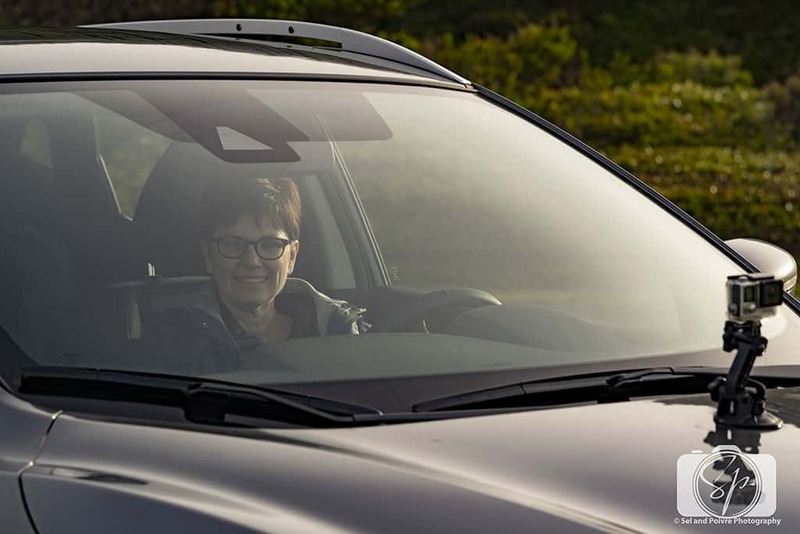 Phone connectivity on the coast is not always a given –create offline maps with your favorite mapping app or pick-up a paper map at your rental car counter. Of course, there is only 1 main road. Highway 101 North and South, so getting lost isn’t going to get you too off course and getting “lost” is half the fun. Make sure you fuel up in the larger towns. Oregon is 1 of only 2 remaining states where it is illegal to pump your own gas. Just pull in and someone will help you tout suite! The coast has parks and refuges that are managed at various levels of the government, county, state and federal. If you have an Oregon State Park Pass, an America the Beautiful Pass (NPS Pass) or Oregon Pacific Coast Passport you will be able to get until nearly everything! Have backup plans for inclement weather. There are a lot of indoor things to do, the aquarium, museums, glass workshops, etc. Have a list of places in your back pocket should you face bad weather. 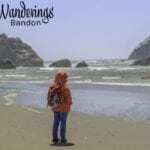 As I mentioned we spent 5 weeks exploring the Oregon Coast when we had our RV. Here are the stories from those weeks. 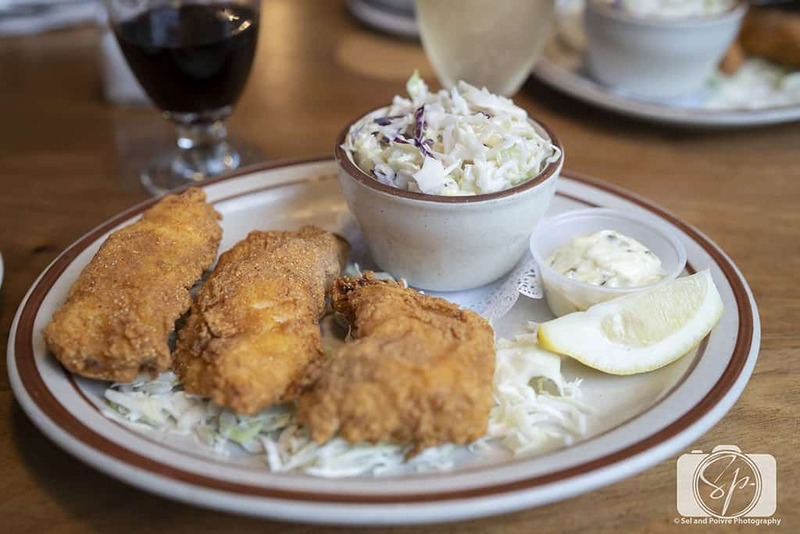 Eater always does a good job picking out gems: Don’t Miss These 24 Restaurants on the Oregon Coast. There’s a North Coast Food Trail, they are working on one for the Central and Southern Coasts as well. A food festival in September! Crave the Coast takes in Garibaldi on Tillamook Bay and features local producers from the Oregon Coast. That Oregon Life has 12 Mouthwatering Oregon Coast Restaurants With Amazing Ocean Views. Finally, my friends Esther and Jacob of Local Adventurer did the entire coast and share their thoughts in The Ultimate Oregon Road Trip. How about you? Have you been to the Oregon Coast? What were your favorite parts? If you haven’t been, what parts would you want to see? Do tell! I’ve never been to Oregon but it looks absolutely beautiful! What a great trip! @Neely, definitely a state that should be on everyone’s vacation list! I’ve only been to Portland, and that was for a convention so it was all work. Really need to make a point about visiting on vacation – it looks lovely! @Scott, the coast is super accessible from Portland – so you have to go back and explore, you won’t regret it! I hike and hiking the Oregon coastline is on my bucket list. Loved your photos, what a fantastic trip. @Erica, there are many great hiking spots on the coast, you’ve got a good item for your bucket list! I didn’t know the dungeness crab capital of the world was in Oregon…I thought it was on the Gulf Coast for some reason! I want to get back to Oregon so much. We flew into Portland and drove to the coast (you are right, it is easy) and then north all the way to Seattle. We did stop in one coastal town but we just didn’t have the time to adequately explore it. That is an awesome photo leaving Lincoln City and I didn’t know there were black bears on the coast! @Heather, you definitely need to go back, there is a lot to explore! All accessible at any season! The main lodge is so absolutely beautiful and cozy! Such a plus to have free breakfast there. @Lisa, yes the Overleaf Lodge is a really great spot. I could have stayed in their lobby all day, but the spa is also really nice. 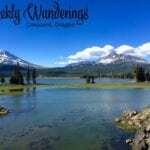 Oregon is so high on our travel list and this post is exactly why! All of your photos are so beautiful and it sounds amazing. My hubby and I are also drawn to the sea, so I think this would be such an incredible trip. I love the room you had and all the fun little adventures. I can’t wait to go one day! @Katherine, it really is fantastic! Each part of the coast has its own personality and there are tons to see at any time of the year! I hope you eventually get there! Gosh, what an amazing trip! I love that little lighthouse too, so cute! Great story! You really captured the feel of the Oregon Coast. Oregon is so beautiful! I haven’t been in 15+ years. Time to go back! Oregon is such a beautiful state. We are seriously considering moving there. The scenery is fantastic. I can close my eyes and imagine how beautiful it would be to witness the sunrise there every morning from your home’s balcony. Your photos of your trip are amazing! I wanna to go Oregon as soon as possible..
I’ve been to Washington, but never Oregon. I’d love to visit someday, especially the cost. It’s a beautiful state! I love the Oregon coast. It might be my very favorite part of the USA. It’s so cool that you got to visit it with Visit USA Parks… that’s got to be a major milestone! I for one would love to revisit this area, maybe staying at the Overleaf Lodge next time?! @Sarah, I don’t think I can get enough of this area as well. I want to return ASAP! I really want to go back to Oregon and properly explore it. We were there for about two weeks camping, but I felt that we only scratched the surface of that beautiful state & loved that everyone was so ‘into nature’. I didn’t know that the storm watching or storm shows was so big! I know at Shores Acre State park there are a few places you can watch the waves beat the coastline, but didn’t know it has now become a sport almost. 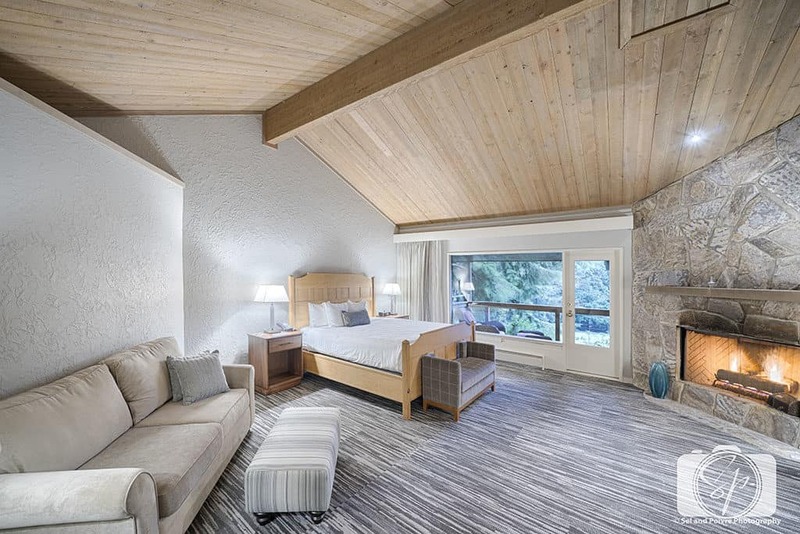 I think for my Birthday one of these years I’m going to stay at Overleaf Lodge — it looks incredibly cozy and warm. Gonna save this post for later, and ps…you MUST go to Scotland. Fav country so far. 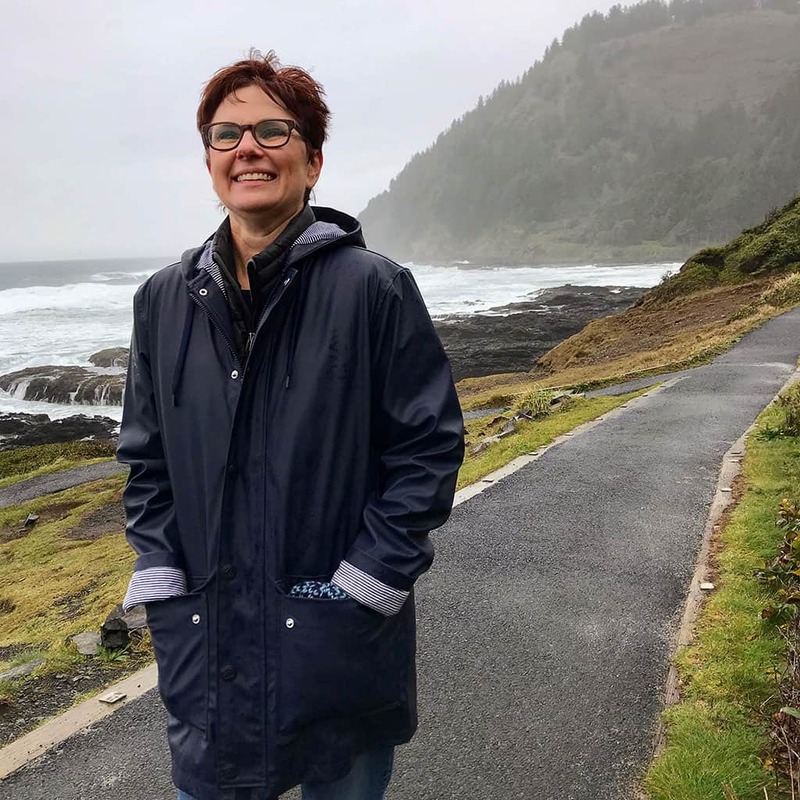 @Janiel, I got ready for my trip by watching some of your Oregon YouTube videos – especially the crabbing and while it is a bit rough on the water to do that in the winter, there are so many other activities that will keep you in the fun! 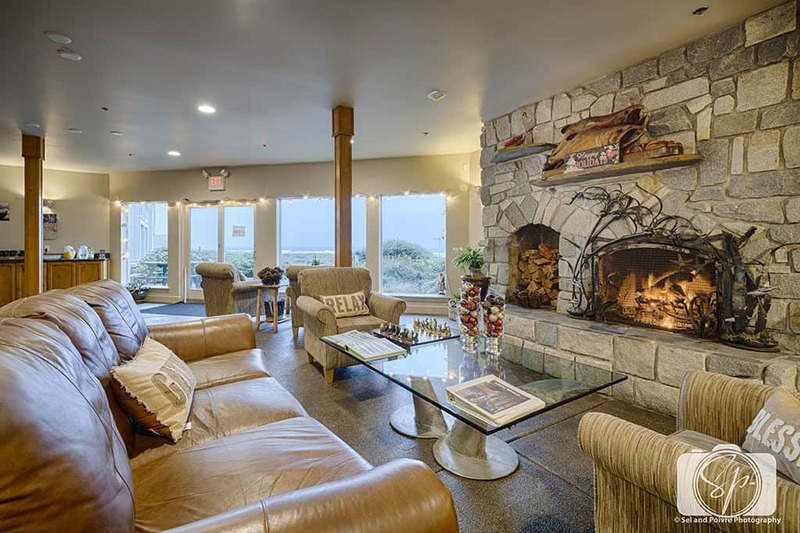 Yes, Overleaf Lodge would be a great birthday getaway! @Juliann, when you have a state so full of things to do, I can see how that would be overwhelming. But I had a wonderful experience just enjoying a slice! I can’t wait to finally get to Oregon someday. That lodge you stayed in looks amazing! @Jenna, I can’t believe you haven’t been yet! So close to you! But then again, I never went while I was living in California, I wanted to, but never quite got there – BIG mistake! I am also a fellow winter beach lover and the Oregon Coast looks stunning!. 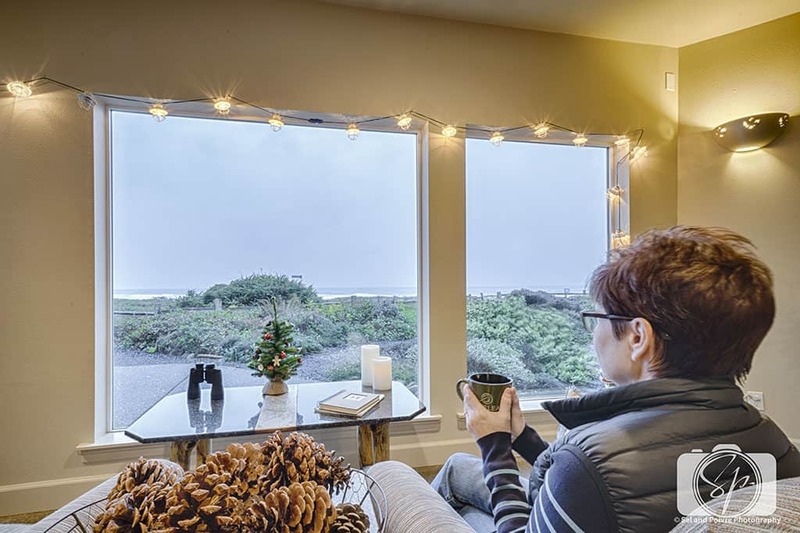 I love how wild the Oregon Beaches look and I bet they’re even prettier viewed from the warmth of a lodge with a glass of WIlliamette Valley wine in hand. @Brianna, I can attest that they are! I’ve driven along the entire Oregon Coast but didn’t have as much time to spend as you did. There is so much that we rushed through or missed entirely that I am dreaming of a return- much longer-trip in the future. The Oregon Coast is one of my favorite road trips. The scenery is so incredible that it was hard to keep driving and not stop every five minutes to explore.